Description Jutti Indian Wedding Men Shoes Groom Mojari Handmade Flip-Flops Flat US 6 Specification: Material: Synthetic Sole Material: Taiwan Sheet Color: Multi-Color Available US Size: 6 (Please see below chart) Important Facts : 1. 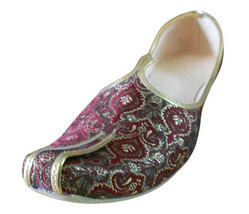 All these are handmade by skilled artisans in remote corners of India. They have a sharp extended tip, nokh curved upwards like traditional mustaches and are called KHUSSA. 2. 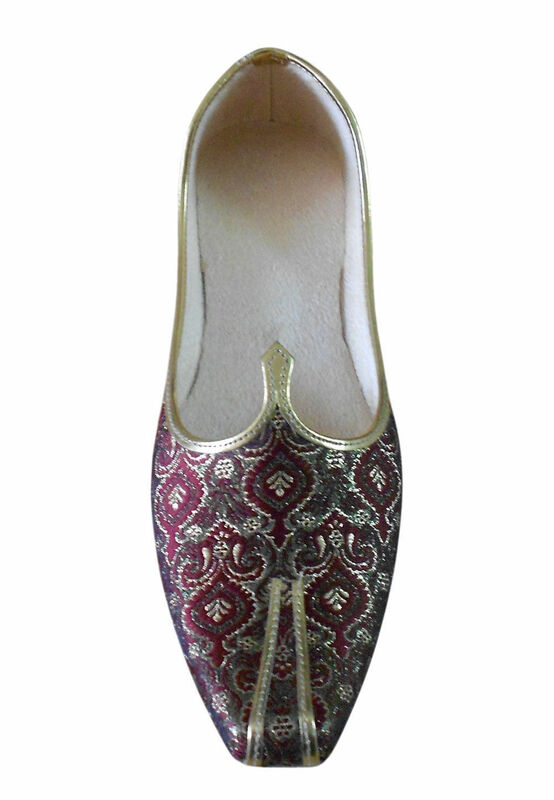 Rich threads work are used in order to impart a royal touch on these Khussas. 3. They have no left or right distinction, and over time take the shape of the foot. 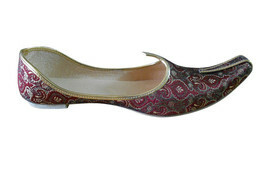 They usually have flat sole. NOTE : THESE SHOES ARE FOR MEDIUM / AVERAGE FEET WIDTH. 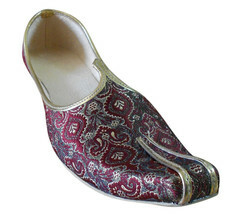 IF YOU WEAR WIDE SHOES THAN PLEASE ORDER ONE SIZE BIGGER FROM YOUR REGULAR SIZE. PLEASE OBSERVER GIVEN CHART. Men Size Chart US Sizes Euro Sizes UK Sizes Inches CM 6 39 5.5 9.25" 23.5 6.5 39 6 9.5" 24.1 7 40 6.5 9.625" 24.4 7.5 40-41 7 9.75" 24.8 8 41 7.5 9.9375" 25.4 8.5 41-42 8 10.125" 25.7 9 42 8.5 10.25" 26 9.5 42-43 9 10.4375" 26.7 10 43 9.5 10.5625" 27 10.5 43-44 10 10.75" 27.3 11 44 10.5 10.9375" 27.9 11.5 44-45 11 11.125" 28.3 12 45 11.5 11.25" 28.6 13 46 12.5 11.5625" 29.4 14 47 13.5 11.875" 30.2 15 48 14.5 12.1875" 31 16 49 15.5 12.5" 31.8 Please measure your feet from Toe to Heel in cms or Inches and send us.